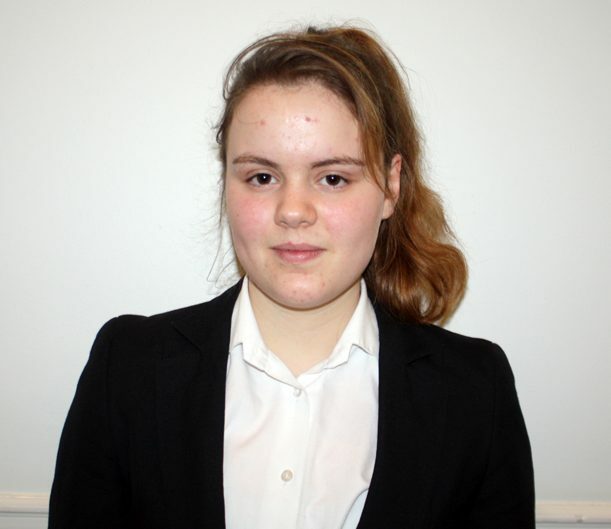 Year 11 student Phoebe Blake has been highly commended for her entry in the GDST Creative Writing Prize. Phoebe impressed this year’s judge, GDST alumna and author Harriet Goodwin, with her piece Finding Edie Lewis, set in a dystopian future. Harriet Goodwin became an author after the birth of her fourth child. Her first novel, The Boy Who Fell Down Exit 43, went on to be shortlisted for the Blue Peter Book of the Year Award. Since then Harriet has written three more novels for 8-12 year olds: Gravenhunger, The Hex Factor and Dark Tide. Harriet very much enjoys visiting schools, delivering a flexible mixture of presentations and creative writing workshops to all ages. In the workshops, Harriet concentrates on getting students’ writing to “spring off the page”, on showing rather than telling, on characterisation and on story structure. The GDST Creative Writing prize is an opportunity for GDST students to produce a piece of creative writing on a chosen theme, which for this year was ‘courage’. Each school submitted one short story or creative writing piece for six age group categories. Each entry was up to 1,000 words in length, with the exception of the title.